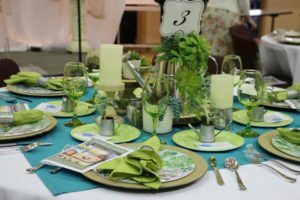 On April 23, 2018, we were invited to FBC Helena to share at the Tables of Love Dinner. 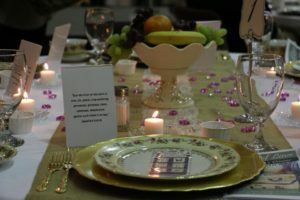 Members of the church decorated each table with intentional bible verses and themes as an encouragement to all attendees. 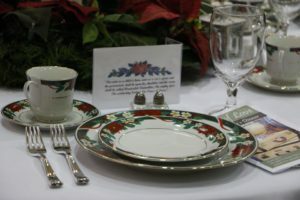 Dinner was served by men from the church. Worship was led by missionary couple Robert and Holly Hope and Jenny Waltman shared how we are all called to be missionaries. 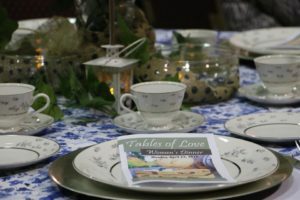 A generous offering of over $500 was received for the local food ministry of Grace Klein Community. When I was a kid I idolized missionaries. They seemed like odd eccentric passionate crazy people. I loved missionary Sunday. They would tell all these stories of how God came through at the last minute, about perils and difficulties, and Jesus. That Jesus didn’t seem to exist in my ordinary life and I found Him so amazing and intriguing listening to them. I wondered — why are we not all living these radical lives. How did they get picked, but my family is routine and ordinary. THAT seemed to be the key to stepping off the ledge and beginning to fully experience what those missionaries would talk about. Did I have faith to trust God with the unknown? Would I step out with courage and be bold? Jesus is a grand adventure, not rules and regulations. 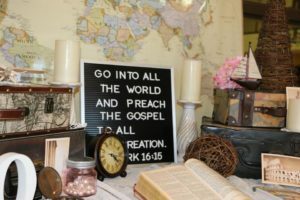 When I graduated high school, I signed up to be a “Summer missionary” and moved to Jacksonville, FL, and I believe that is when I started to realize — we are all missionaries. 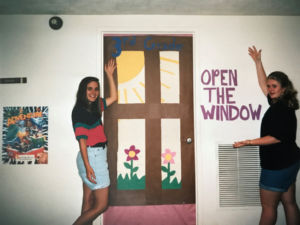 During that summer, some of us girls lived with a family, and we shared Jesus walking around the neighborhood, swimming with kids, playing games in an open field, teaching VBS, cooking meals and doing laundry. Jesus was in everything and He was our focus, our worship, our adoration. It was a summer with Jesus, an ahh-ha moment. Why are we making missions an experience when Jesus is making it our lives?? He says GO and make disciples of all nations. We are all going. Today, tomorrow and the next day, we will go everywhere. We will tuck kids in bed. We will snuggle with our spouse. We will get up tomorrow and go be that “school mom person” for the kids class, or we will go make a bottle to feed our baby, or we will go drink some coffee with our neighbor or we will go to an office and talk to the sweet janitor lady in the bathroom, or we will have a meeting, a workout at Lifetime Fitness, or a run at the park, or a play date, or text messages, or a grocery run or the dentist office, or the car place, the drug store, the ball fields, the museum, the library, ok, you get it – we will GO everywhere. 1. We are all missionaries. 2. We are responsible to love. Love is laying down our lives for our brothers. Whoa. That is hard y’all. Love is the hardest attribute/action/attitude to continually give away. But I love to read for hours. I love Coffee with creamer. I love silence. Fill in the blank with what you “love” that is hindering your ability to love. Remember that first verse we read. Let’s go back to it. “For the gate is narrow and the way is hard that leads to life and those who find it are few.” The way to life is HARD. Do we want to find the treasure of being a missionary every day of our lives? We want those crazy miracles the missionaries came and talked about at church to happen to us. We want to tell God stories, we want faith that moves mountains, we want to see His glory. How does that happen?? We take the narrow gate. We squeeze through it and we say – give me the hard because the hard is the way to life. 3. We hide our life with Christ in God. Keep reading this whole chapter and spend the next year allowing Jesus to help us live out this chapter. Let us remember we are different, unique, chosen by God to PUT ON LOVE. And how you put on love and how I put on love will look different. We are all going to different places and we must put on love to share Jesus’ Love in all those places. We cannot become panicked and paralyzed because we do not want to give away all our worldly possessions or go live with the poor. Or wonder if we will stop watching our favorite series or not go to every college football game in the fall. We cannot look so far down the road at what Jesus “might” ask us to do that we fail to obey Him today. Pray without ceasing and ask Jesus – what do I need to say yes to right now?? Trust Him to give you enough light for this step. And don’t freak out about that 50,000th step that’s coming. 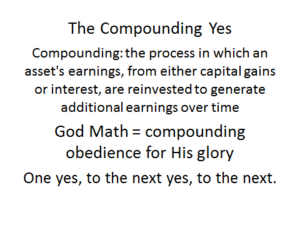 The yes’s grow and we begin to see more and more of God’s miracles in our every day lives and we start to realize we are those eccentric, crazy, radical, sold out for God missionaries that we thought only a few people get to be. We realize He will use all of us and if we say yes and go, He will take us the next step and the next. And He will use our ordinary lives to share Jesus to the ends of the earth. In Colossians 1:29 it says “for this I toil, struggling with all his energy that he powerfully works within me.” To find out the “this” go up to verse 27 and see — which is Christ in you, the hope of glory. We have Christ and that is why we give every bit of our lives for a holy yes. We are not saying: say YES to everything.